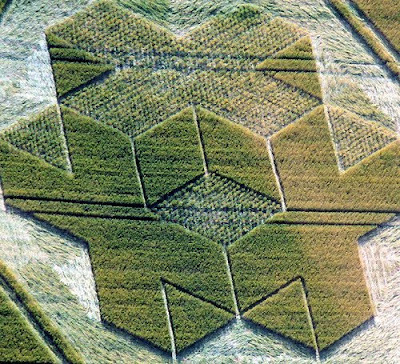 The shaded areas have the crop layered in rows and columns giving the formation a net like appearance which makes the formation look 3 dimensional when viewed from above ... 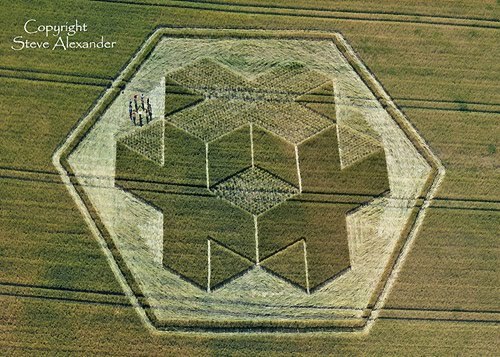 Truly Stunning ! The formation does bear a striking resemblance to the Origami formation that appeared in Beckhampton on July 28 1999 ! 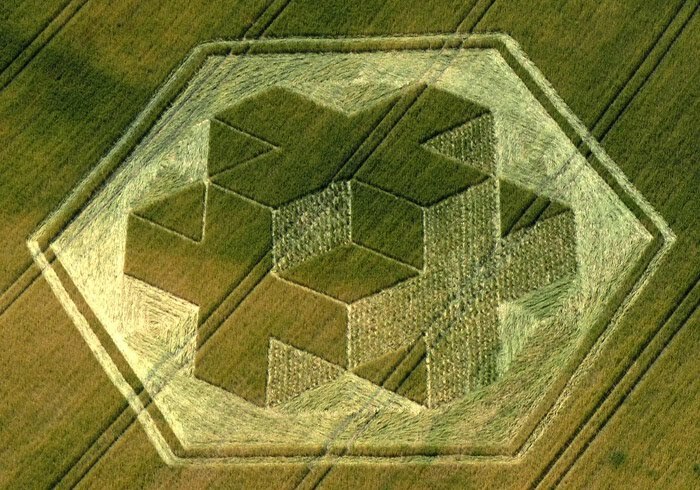 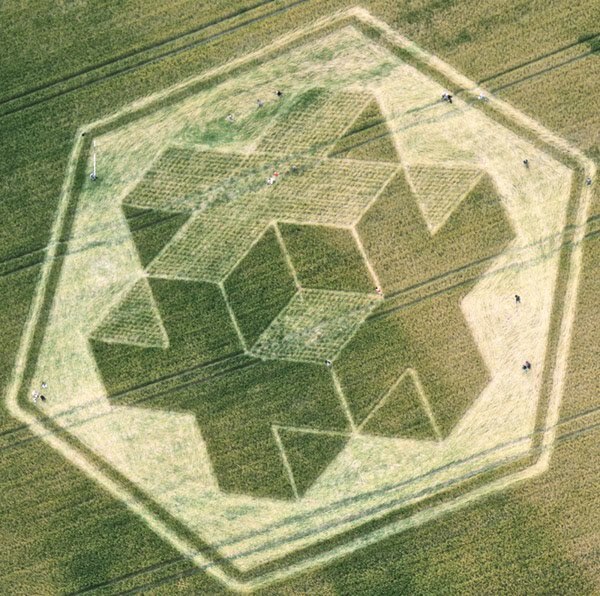 Something more about the Origami Crop Circle is discussed in a Crop Circle Documentary called "Contact". 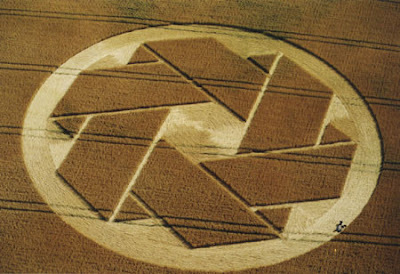 In the documentary we are introduced to Maki Masao, a Japanese professional debunker who conducted an experiment where he along with eleven other people, performed a group meditation praying for a crop circle that had to have the following characteristics : it had to appear that night, in the immediate vicinity, to the west, containing a Japanese symbol. A few days later just like they'd asked for, a little towards the west from their meditation location a beautiful Japanese Origami formation appeared ! 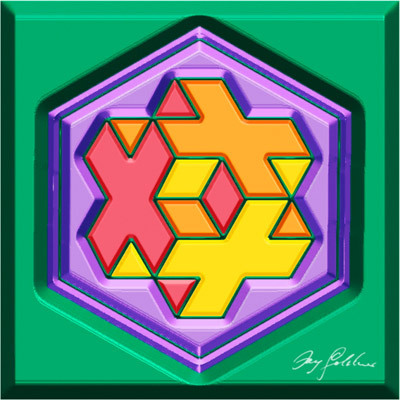 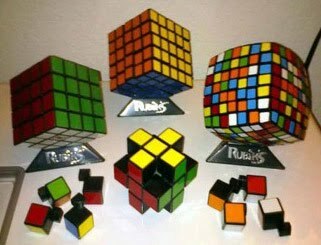 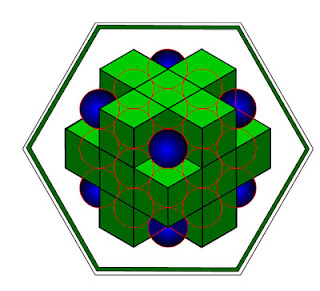 The original 3×3×3 version celebrates its thirtieth anniversary in 2010 ! 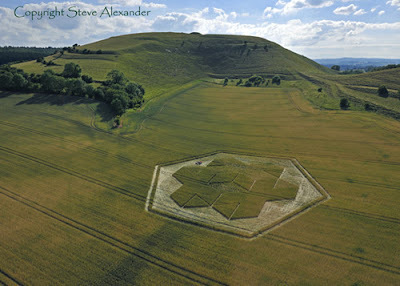 beautiful and inspiring, thanks for sharing and making the connections with the previous origami crop circle. as we approach the conscious convergence, the designs seem to be more complex and multi-dimensional, tuning us into the new energy that is arriving with the 9th galactic wave. 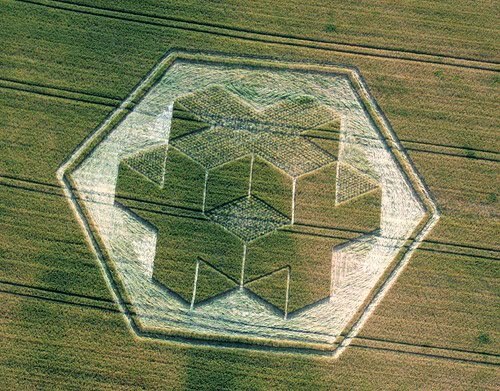 time to awaken!